I get asked so often about my DIY curtains which have been my favorite addition to our downstairs spaces. I get asked if I would make them and sell them which I always decline because I just can’t put that much work into it and people wouldn’t pay for the amount of work either that it takes me to make them. That’s why I finally decided to make the design on Spoonflower and add it to the thousands of amazing fabrics that are being sold on that great website. I love this pattern so much. 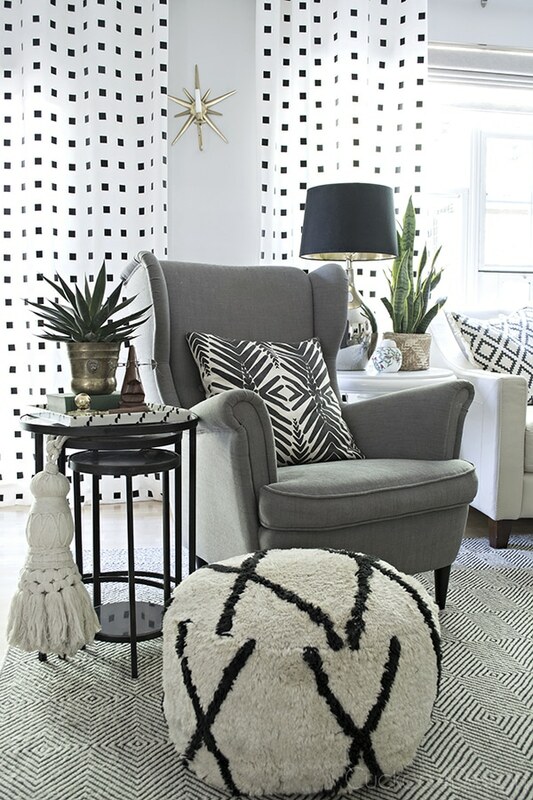 I’m definitely manly attracted to graphic black and white patterns as you can see in my living room. 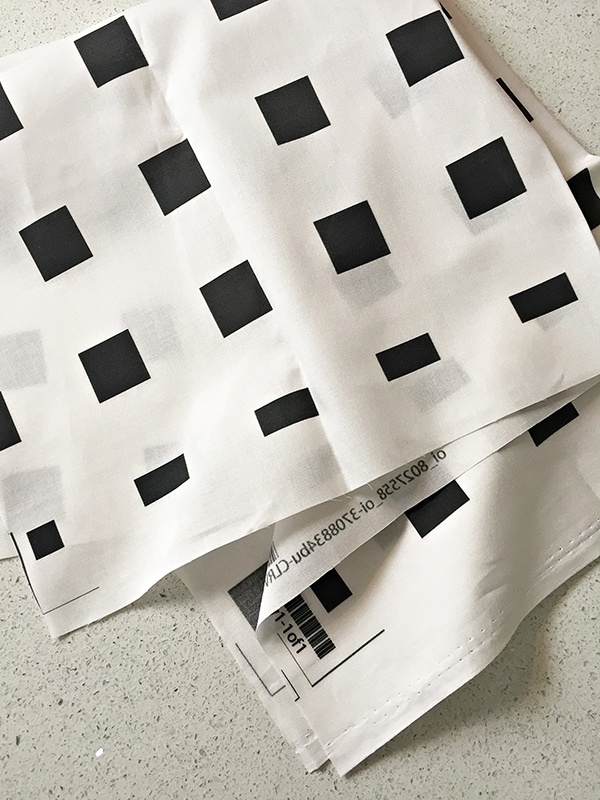 You an find and buy the fabric by clicking HERE now and if you’d want to make curtains from it then I’d recommend the heavier weight fabrics like the eco canvas or the heavy cotton twill. 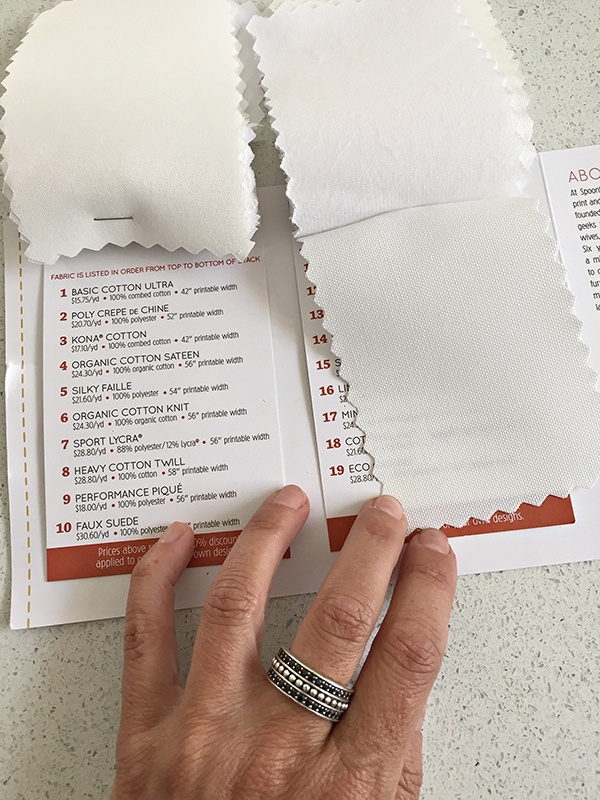 You can even order a fabric swatch collection to show you what different types they have. See in the below photo. I ordered a sample on a light weight fabric and I love it but it’s not recommended for the type of curtains I have. 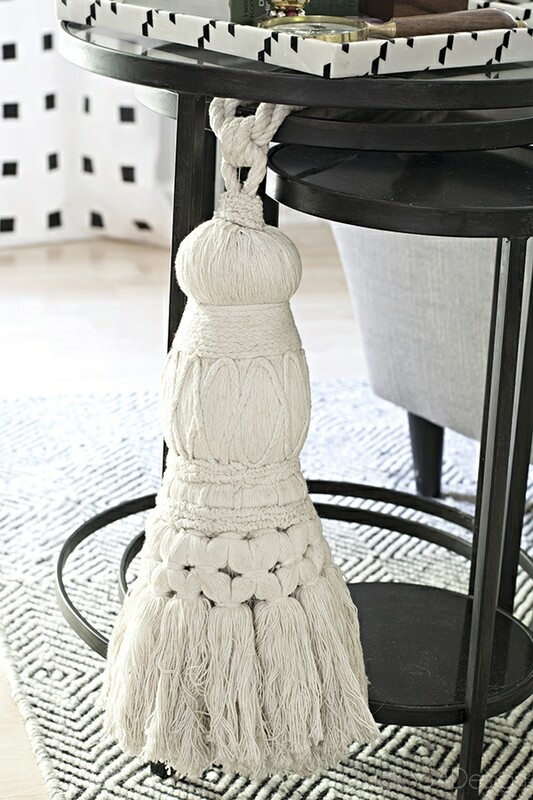 You can find my tutorial how you can make your own huge tassel for $9 from dollar store supplies by clicking HERE. I also went online to see if I could find something similar for you but I couldn’t get that close. I guess it really is special! 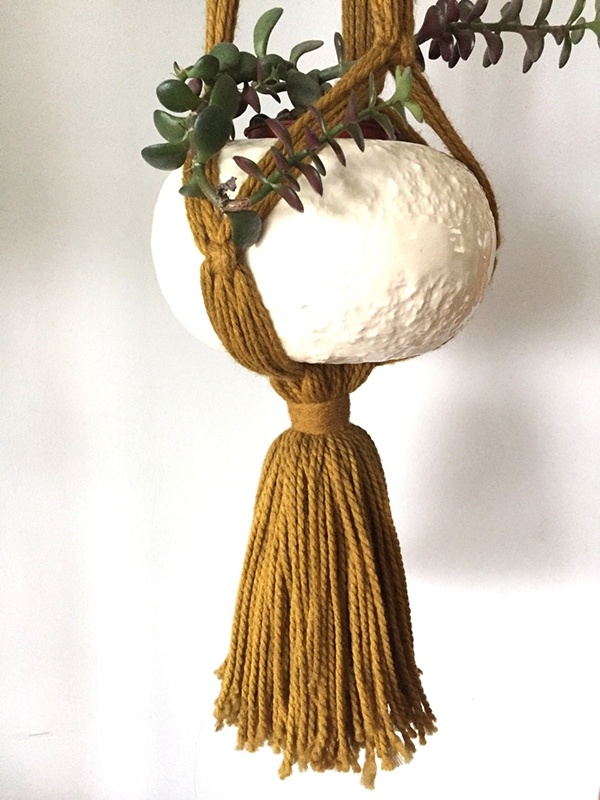 Maybe I should open a shop making and selling giant tassels too but I think I have my hands full already. 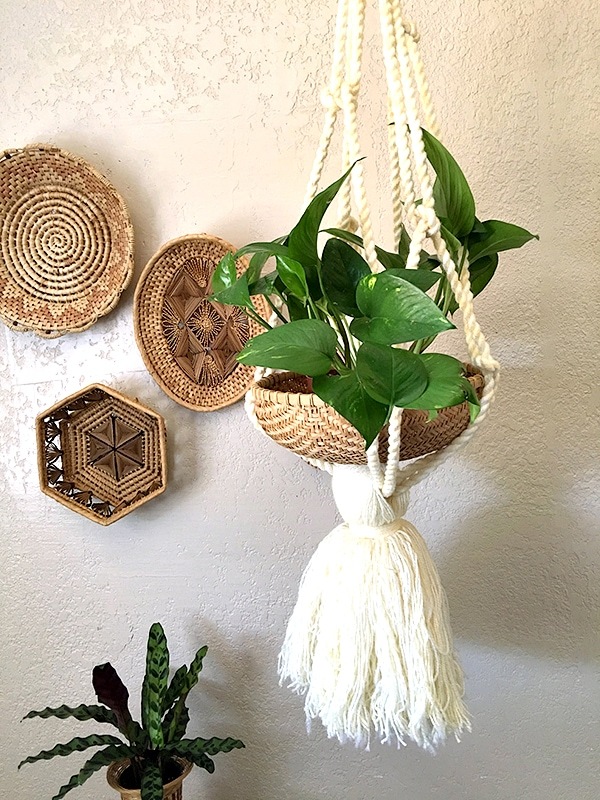 This amazing tassel macrame hanging planter (click HERE). I’m totally in love with it. Isn’t it amazing? The size of the tassel looks huge! your tassel is clearly super valuable!!! and YAY on the fabric- so excited for you! Holy cow, that tassel is pretty amazing! Where did you get the mirror hanging above your sofa…looks like a wheel base. Awesome!! Addiction or addition? Maybe both! 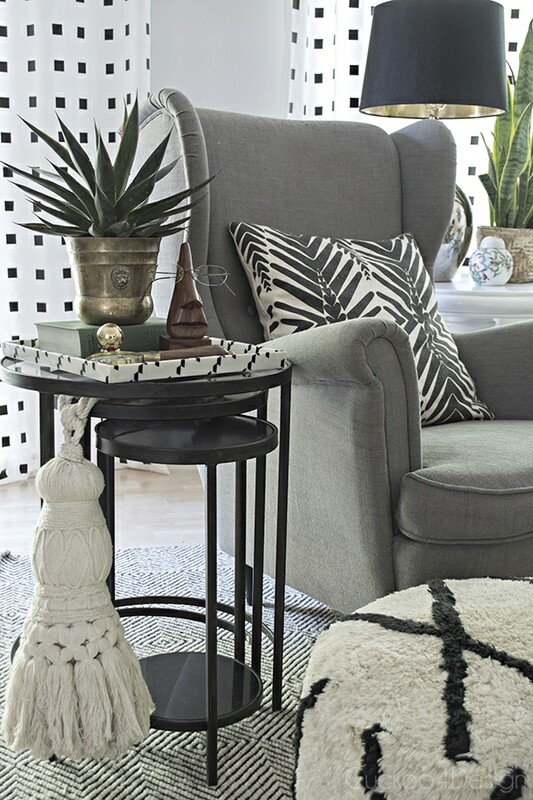 Love the rug, where did you find it? Wow – your own fabric design on Spoonflower! That is big time Julia! So exciting!